Perhaps the first documented fictional exploration of spiritual warfare, The Screwtape Letters is an expertly crafted examination of what the enemy of our souls is plotting. The reader is given insight into one side of a correspondence between two demons of differing influence and rank, thus providing a “behind the scenes” look at what the enemy is plotting and what they consider to be a victory for them. At moments, it can be difficult to follow along since the context of Screwtape’s “enemy” is really the “good” side of the spiritual battle. Either way, C.S. Lewis has crafted a brilliant satire about how little humans understand of their spiritual lives. While I wouldn’t necessarily ascribe The Screwtape Letters to pure theology, there are plenty of eye-opening and thought-provoking statements in Screwtape’s letters to his nephew. From the demons’ acknowledgment that pleasure is of God’s design but overindulgence in pleasure is in their realm to the ever-constant battle to bring humanity’s spiritual fervor into the “lukewarm” category, many of the topics covered in this book are still applicable today. In fact, an astute reader can pick up exactly where the demons have gained victories in today’s society filled with apathy and spiritual malaise. My biggest qualm with this book is that it wasn’t longer. Lewis unquestionably had the creative spark to package theology in an entertaining context via books like this, so I would have liked if there were more letters included in the set to stir up more conversation and induce more moments of reflection in our own lives. If someone were to write the unauthorized sequel to this book that could do so, I would certainly read it in a heartbeat. 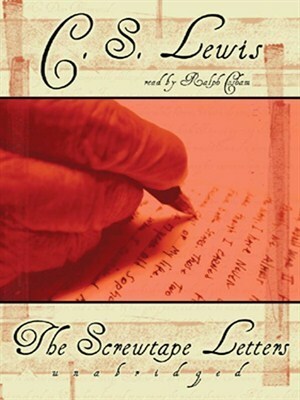 The greatest example of writing from an antagonist’s perspective, I give The Screwtape Letters 4.5 stars out of 5.